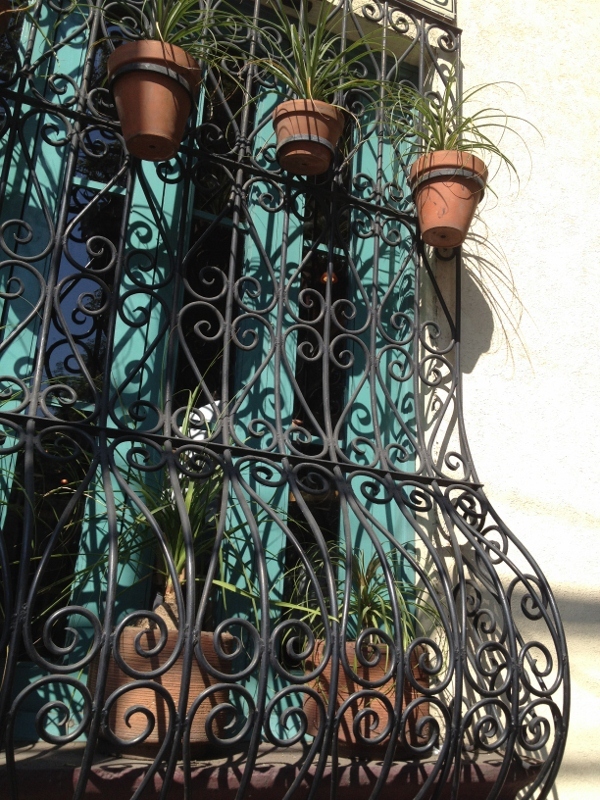 The steely curly-cues of wrought-iron bars are ubiquitous on windows in Latin America. 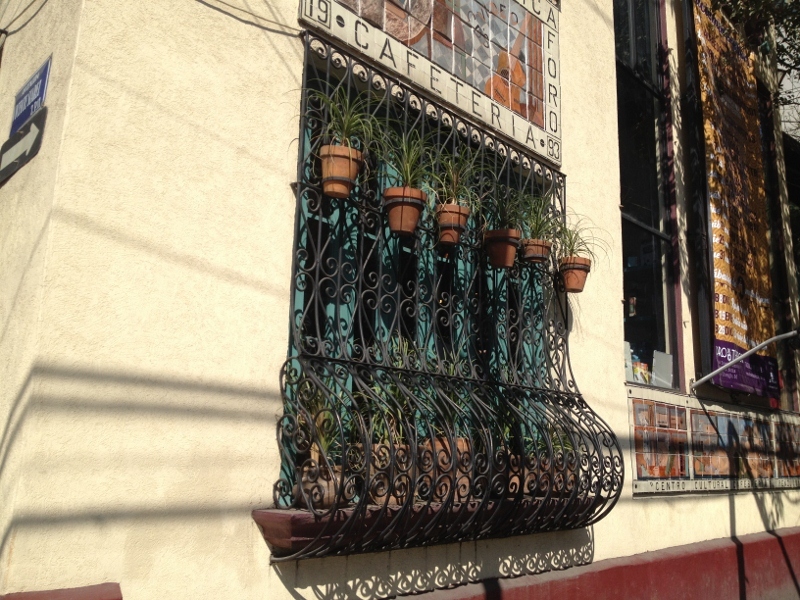 Here, the limited space is maximized not only on the windowsill behind the bars, but by hanging terra cotta pots outside of them, as well. The unidentified grassy plant’s airy, cascading form provides a soft contrast to solidity of the iron, a worthy juxtaposition in both the physical and the poetic. Another smart use of space in one of the most populous cities in the world (Mexico City ranks 7th or 8th, depending on the list), again takes advantage of that window ledge. 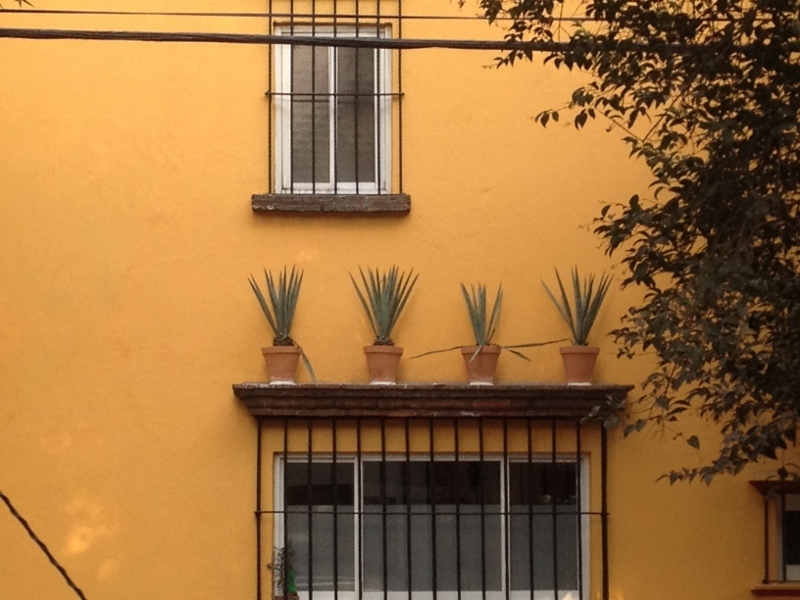 It’s hard not to love this image – four agaves shooting upward like spiked hair, absorbing the heat re-radiating from the wall. 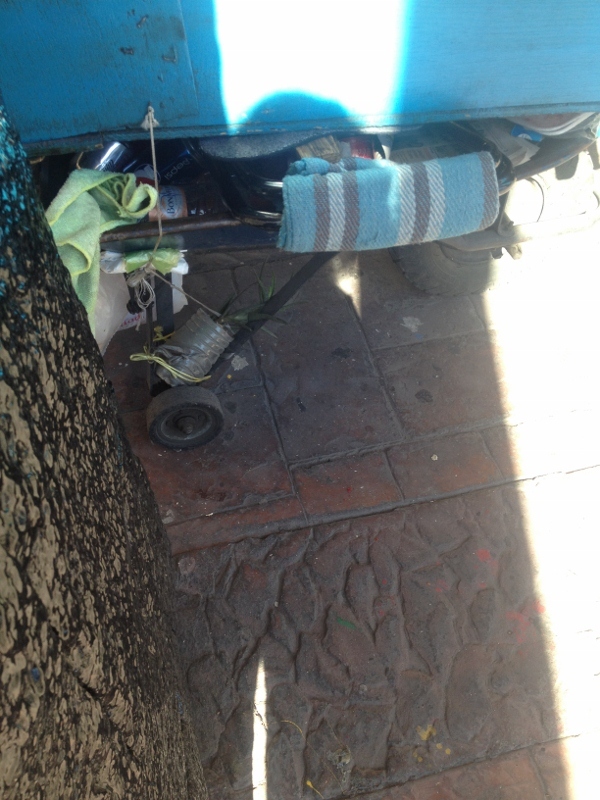 Here’s a typical urban Mexican garden. 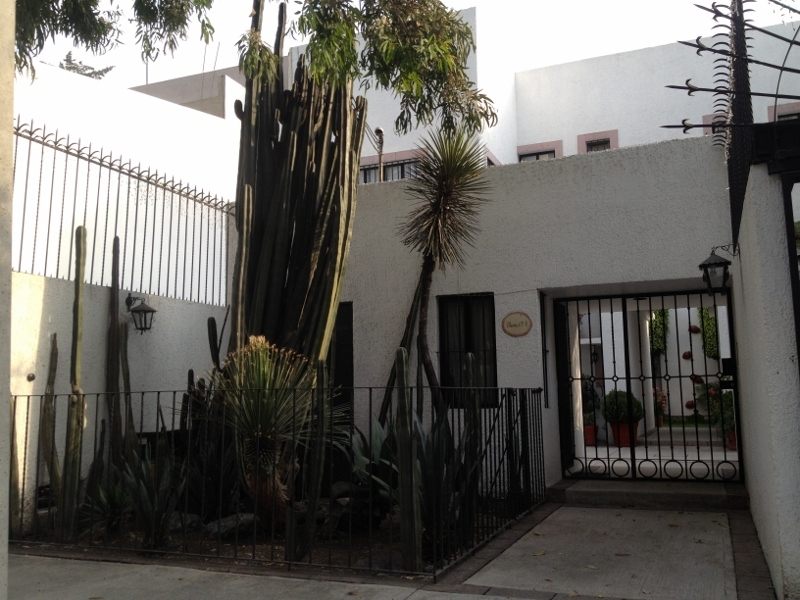 Height and drama from the multi-trunked cacti in the center demonstrates good use of the vertical dimension when the horizontal space is limited. The “just stuck my leaf in an electrical socket” palms are a nice combo with the stubborn linearity of the cacti. 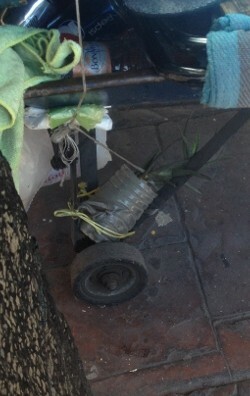 And, perhaps the ultimate use of a small space: Look carefully — this baby aloe is planted in a plastic bottle and strapped to the frame of a food cart. Gardens, everywhere, indeed.